Great American Adventure Mix - 1 lb. 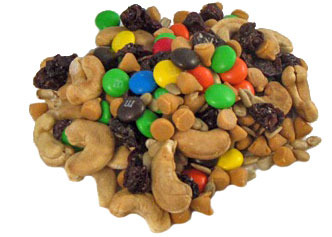 You'll want to be sure and pack this hearty snack mix on your next big adventure! We think this blend of dry roasted cashews, butterscotch chips, roasted & salted sunflower seeds, M&M's, and dried cherries can't be beat!